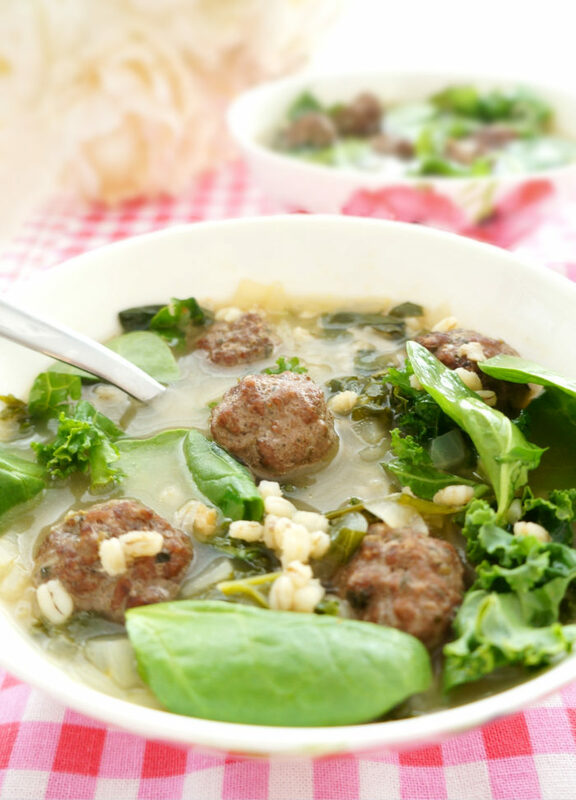 This meatball barley soup mimics an Italian Wedding Soup, but is much more healthy, flavourful and filling! Makes the perfect comforting dish for those cooler days! A lot of times, I don’t find soup to be all that filling since most soups usually only have small bits of protein, vegetables and grains floating around. Not only that, but they’re usually packed full of sodium! I like my soups to be both wholesome AND hearty. In some of my past recipes like these Asian Beef Meatballs or these Chicken Quinoa Meatballs, I’ve mentioned my intense love for meatballs. You really can’t go wrong if there’s meatballs involved. 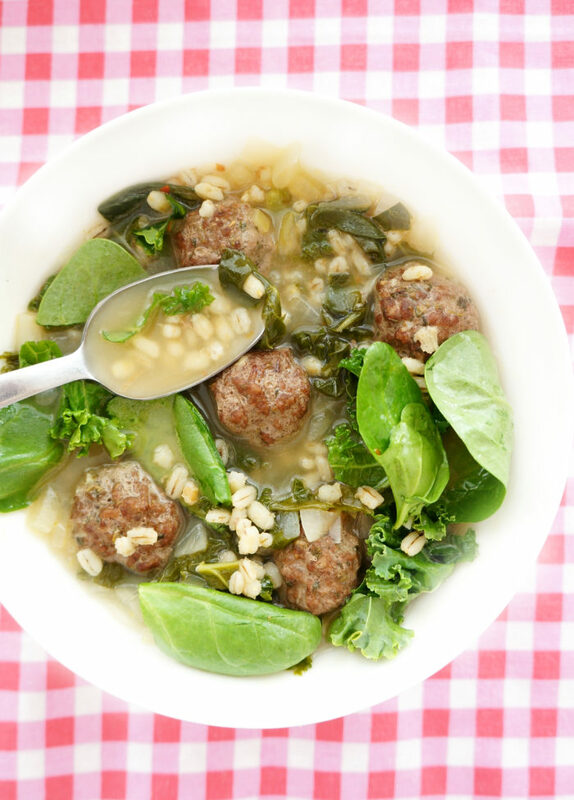 That’s why I love this Meatball Barley Soup! The meatballs make it really hearty so it’s a healthy and complete meal in a bowl. Lately, I’ve been experimenting a lot more with barley and I can’t believe that I didn’t start incorporating it a lot sooner! I absolutely LOVE the taste of it, and it’s nutritional profile isn’t too shabby either. Barley is packed full of soluble fibre, which can not only help to fill you up but can also assist in lowering cholesterol. For 1/2 cup of cooked barley, there is 3 grams of fibre, which makes this a very filling soup. 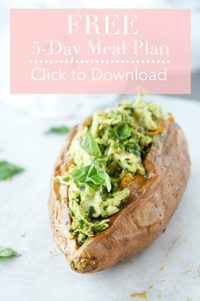 This dish is also a delicious way to add more greens into your day. 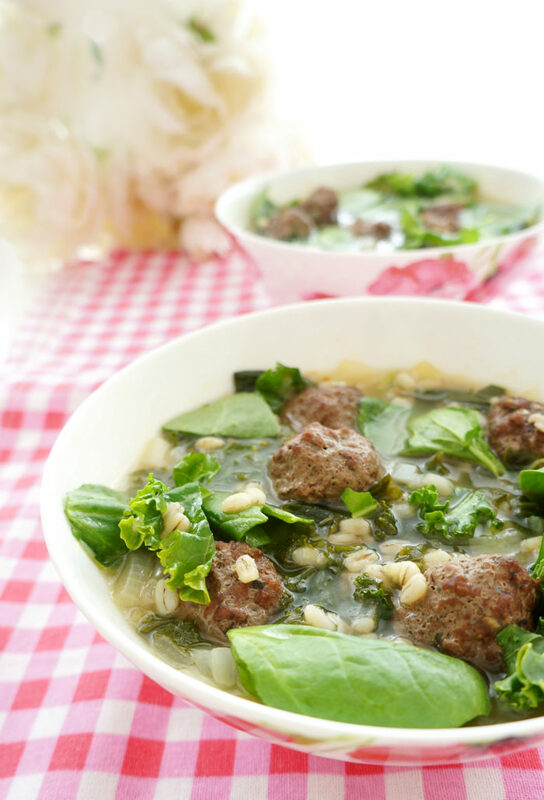 If you find that the spinach or kale in your fridge is about to go bad, throwing it into a soup is a perfect way to use it up! The greens are are a great source of vitamin K, vitamin A and potassium. And of course, the beef provides that protein, zinc and iron. That’s one wholesome bowl of soup! Preheat oven to 375 degrees F. In a bowl, mix together beef, basil, oregano, garlic cloves and salt. Line a baking sheet with parchment paper. Roll the meat mixture into ½ inch balls and place evenly spaced apart on parchment paper. Bake for 20 minutes. Meanwhile, in a large pot, heat oil over medium high heat. Add onions and cook until soft. Add the broth, vinegar, red pepper flakes and pepper. Bring to a boil over high heat. Once boiling, reduce heat to medium low. Add barley and simmer for 20-30 minutes, or until barley is tender. Add the meatballs, kale and spinach to the broth and cook for an additional 5 minutes. Serve. ** If you let the soup sit for a few hours, you'll notice that the barley absorbs quite a bit of broth. You may need to add more broth to the soup, especially if consuming as leftovers the next day.